It is with regret that the Club has to announce the death of Honorary Member José Froilán González on Saturday 15th June 2013. Argentinean born González started racing in Formula One in 1950 making his debut at Monaco driving for Scuderua Achille Variz. 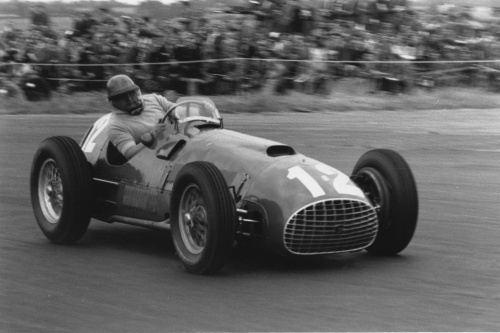 In 1951 he went to drive for Ferrari and secured Ferrari’s first win in Formula One World Championship race at the 1951 British Grand Prix at Silverstone, his first of two British Grand Prix victories with the second coming in 1954. Competing in 26 World Championship races over nine seasons José retired after finishing tenth in the 1960 Argentine Grand Prix. Another noticeable victory for González was winning the 1954 Le Mans 24 Hours with co-driver Maurice Trintignant. José Froilán was made an Honorary Member of the BRDC in 1954.